SIMPLE design, a smooth coat and weight in all the right places. This is the key to building a top performing CO2 dragster and was something Warwick State High School students had been working towards over the past few weeks. 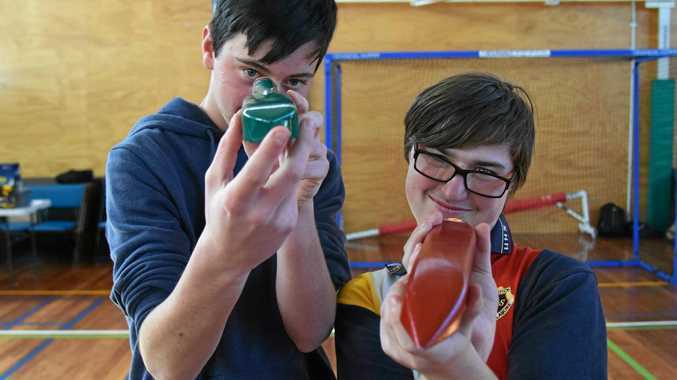 Each year the students are given a piece of timber, a set of wheels and CO2 cannister. 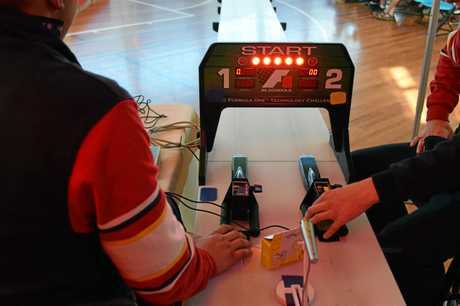 They must use theory and skills learnt in the manual arts classroom to build the fastest racer possible. Like in the big leagues of race car design, the winner was determined by its performance on the track. 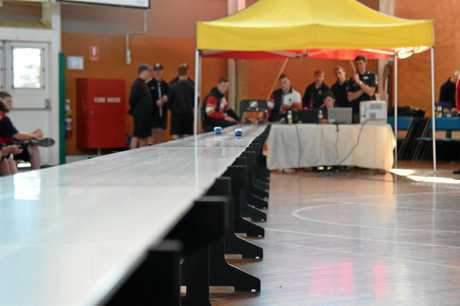 The fastest car to compete a 20m track wins and a good speed in something down around the one second mark. 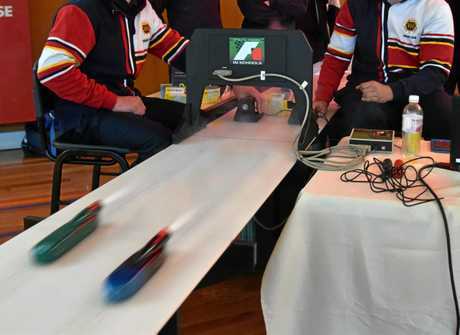 After a round of preliminary races the school hosted the finals of its dragster design competition on Friday, August 10. Year 11 student Zac Amey won the open engineering technology category and by his own admission, Zac said his research and forethought was minimal. He instead decided to keep things simple. "The more curves you have around the centre, it creates more drag and despite looking more aerodynamic it slows the car down a bit," he said. His car had the perfect balance of mass, drag and friction. The school has run the competition for the past 25 years and Zac will join prestigious alumni. Past winners include Porsche racing team driver and Warwick State High School graduate Matt Campbell. In the short term he will progress to the state finals later this year. Runner Up: Trey Amey. 1.001sec. Runner Up: Jason Jenner. 1.043sec. Runner Up: Ashley McLean. 1.045sec.